is owned and operated by Lucas A. Farmer. 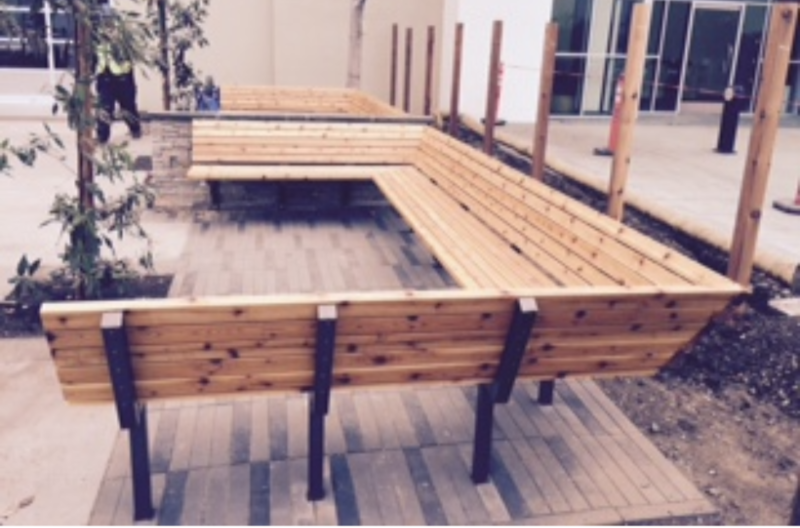 Incorporated in 2012, the Wood Owl is a serviced based construction company designing, building, finishing, installing and restoring customers projects (residential and commercial) stretching across the bay area. Using materials of wood, metal, stone, reclaimed and recycled goods unique and functional projects become reality. is 100% dedicated to the customer. Offering 1 on 1 consultation and project reviews every step of the way, the customer is guaranteed to receive exactly what they ordered. The Wood Owl provides a standard three (3) year warranty on all services provided. 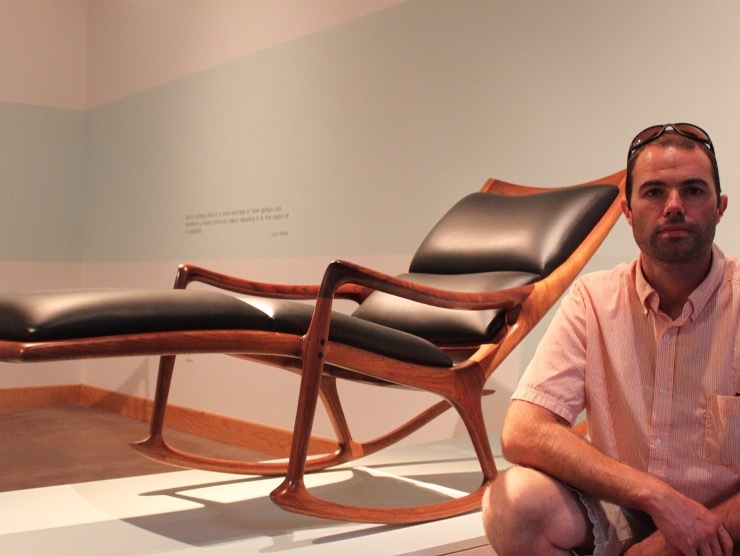 provides services in projects ranging from new construction, remodel, retro-fit, restoration, office and home furnishings, outdoor patio and garden, and one-off custom pieces. Contact the Wood Owl today to get started on your project. Here, this customers garbage enclosure was poorly mistreated. Previously, just three walls and a simple double hung gate, the enclosure was doing very little to keep trespassers from disposing unwanted goods. The customer tallied more than $12000/yr. in removal, maintenance, and proper disposal fee's. 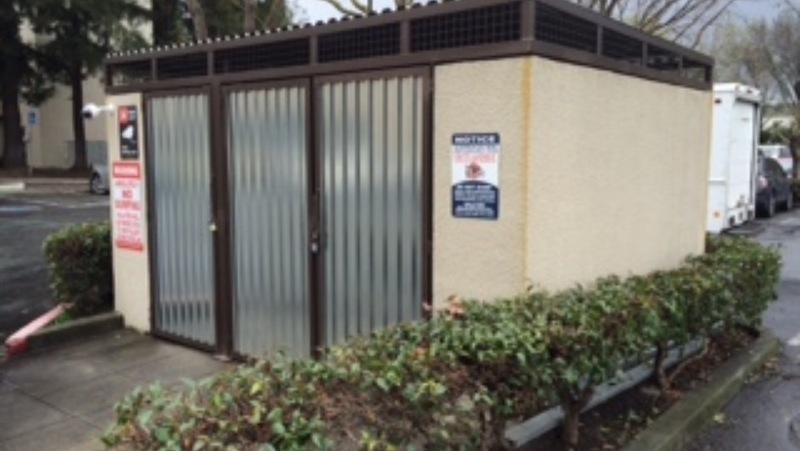 This upgrade included a sloped roof with corrosion resistant galvanized sheathing, two main entries: one single door for tenants and one double hung door area for local recycle/waste collection. The tenant access was 70% partitioned from the recycle/ waste bin area allowing just enough opening to properly dispose of items. Since completion, the customer has reported no illegal dumping, and tenant misuse isn't an issue anymore. This was a fun project! A well known electrical company built an entertainment area for company employees and customers alike to get out of the office and enjoy some time in the sun with bbq, outdoor table tennis, and plenty of seating. 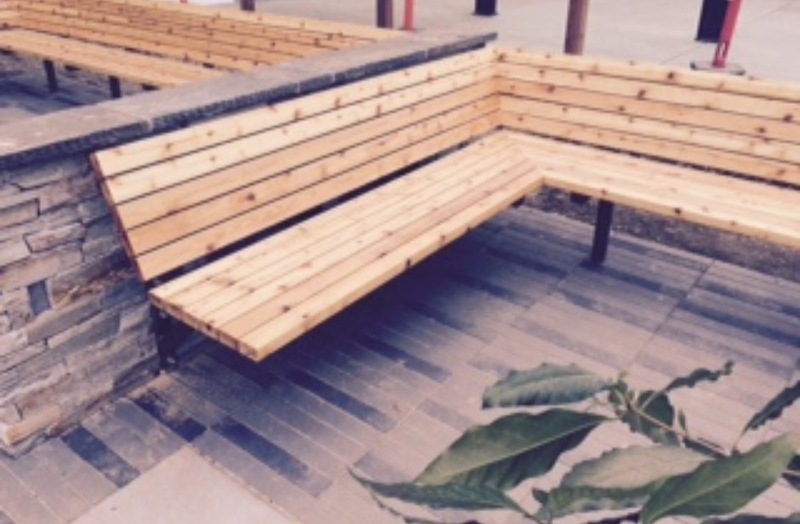 Two (2) U-shaped western red cedar benches were built supported by square tubed steel frames set-back 22 degrees for added comfort. From left to right: A mudroom/ sports closet for a growing family with three teenage boys. 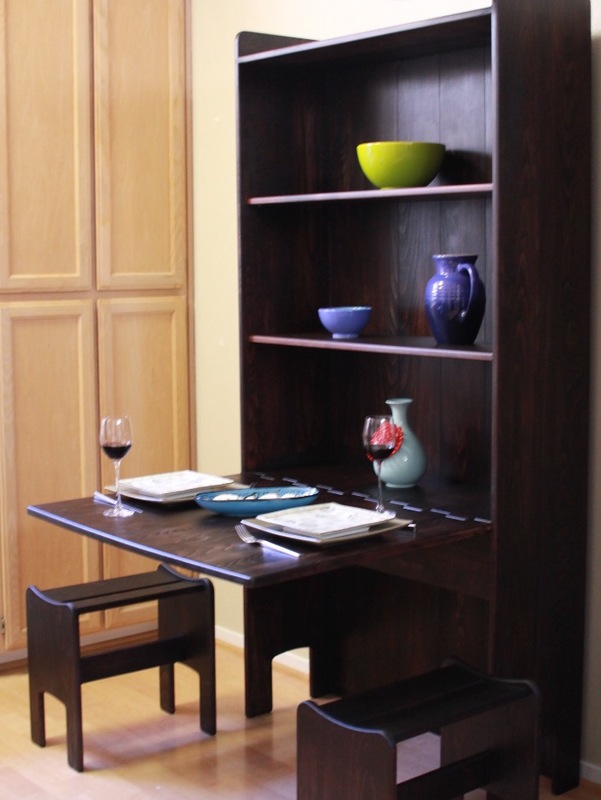 Next, a Sam Maloof inspired dining table that doubles as a cabinet. With adjustable shelving, a drop leaf table top and seating for two turned this customers small space into a dinining pleasure. 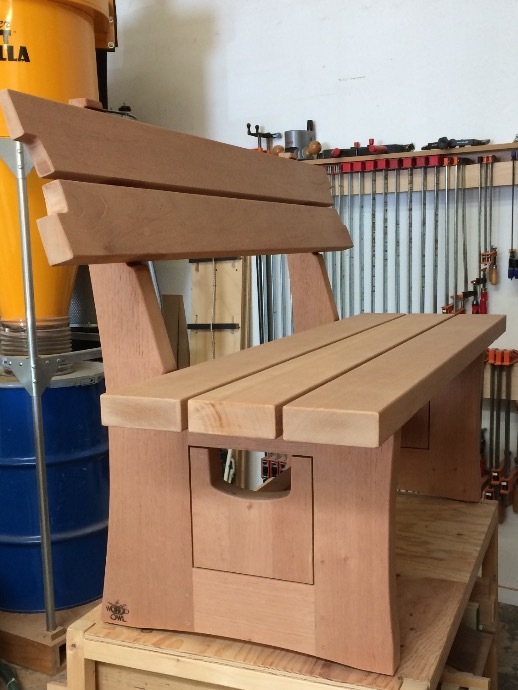 Lastly, an asian inspired outdoor bench made using spanish cedar lumber with a 22 degree backrest made for some comfy relaxation. Here is a kitchen island/table concept featuring a live edge wood top and a tappered base narrowing at the bottom. The base is built sturdy but does not look heavy. The most bottom shelf retrofitted with dense filler material provides mass and counter-balance to the top surface. This island/table design was also meant to be moveable...1-2 people max. Collectively, one (and more) could dine, prep., entertain, craft, organize, and pretty much do everything on the surface while having ample open space storage below. 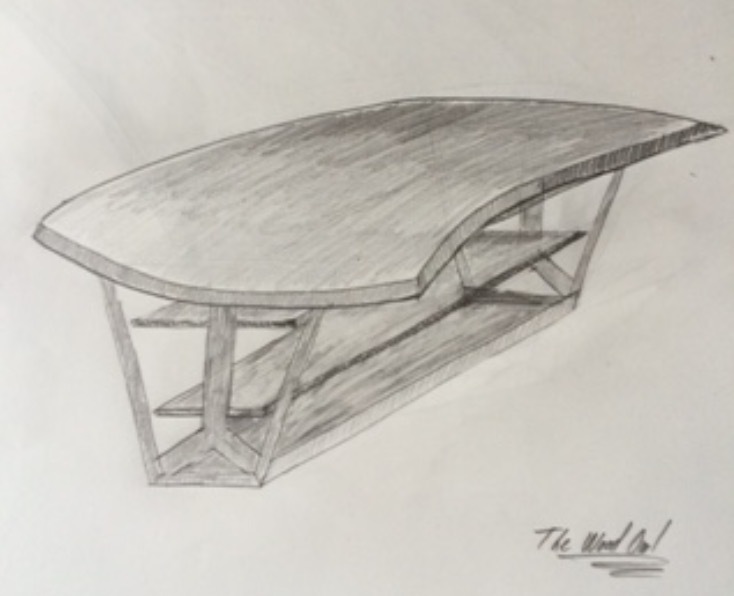 Since this concept drawing, the Wood Owl has produced two kitchen island-tables that are very similar to the drawing shown here. Please contact the Wood Owl for more details. The Wood Owl, LLC provides free estimates within 35 miles of the 95051 zip code. The standard estimate / consultation fee is $50 if traveling outside the 35 mile radius. If the customers chooses to have drawing(s) made, a fee equivalent to 12.5% of the project estimated cost will be invoiced. The "Design fee" coupon can be applied at this point. It should be noted that any fee's for estimates/ consults, etc. can be applied to the total project cost. Final invoicing will include all fee's, coupons, deposits, credits and payments made. 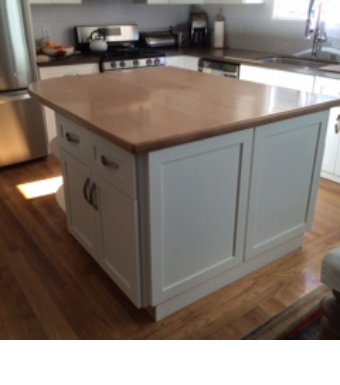 "Lucas, The Wood Owl, helped us complete our kitchen renovation with this maple countertop island. We are very pleased with his work and will keep him in mind as future projects come available." 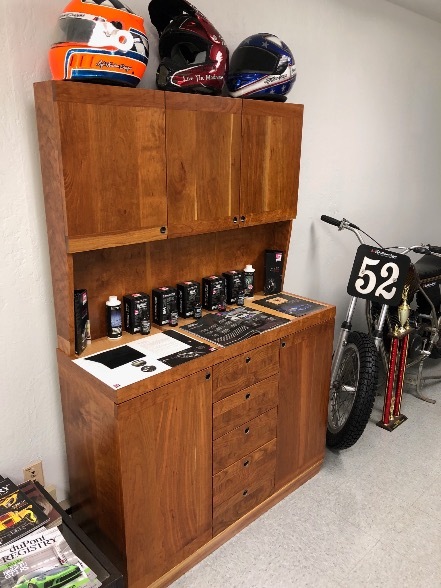 "Lucas designed, built, and delivered this custom Cherrywood display cabinet for my business. 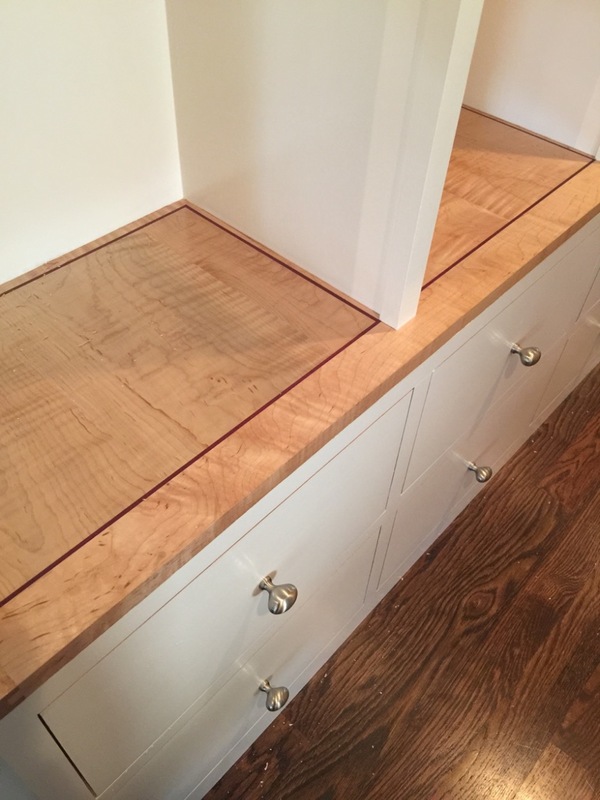 He exceeded my expectations for the build especially making from scratch all the door and drawer pulls, not to mention the custom wood drawer slides with built in catch. Very high-level craftsmanship." Hello to all! I hope you have enjoyed the content contained in this website. This website is merely a snapshot of the Wood Owl's capabilities. Please do not hesitate to contact the Wood Owl for a project that may or may not be related to the contents on this site. 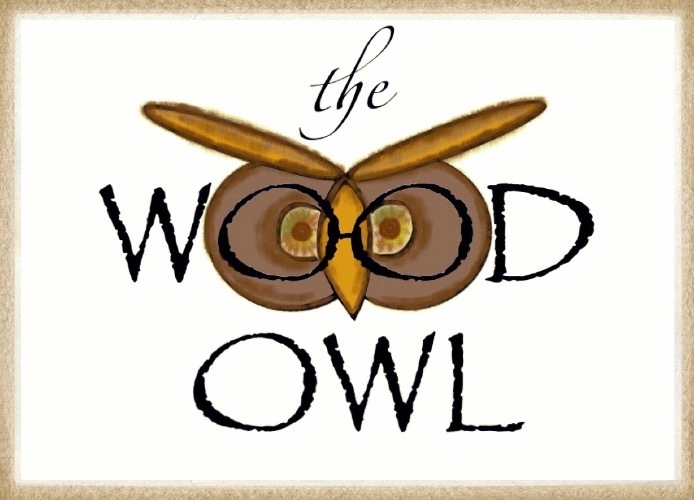 The Wood Owl can help you complete your project today. Thank you, Lucas.